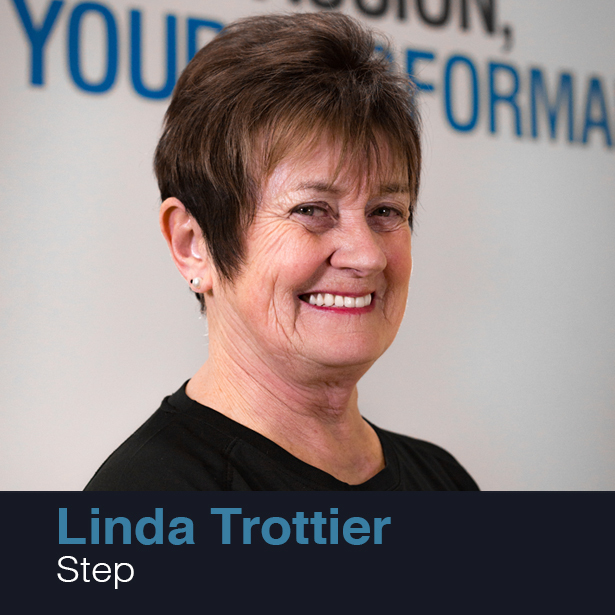 Modern Step Aerobics with Linda Trottier is a great class for men and women of all fitness levels. This class is a high energy class that will build your cardio, burn calories and keep your mind and body moving for 60 minutes. This class is full of combinations to workout your entire body with a focus on arms, legs, gluts and mid-section. Linda brings step into our modern world on Mondays AND Wednesdays from 6 P.M. to 7 P.M. adding fresh music, punch combinations and light weights for those who choose.